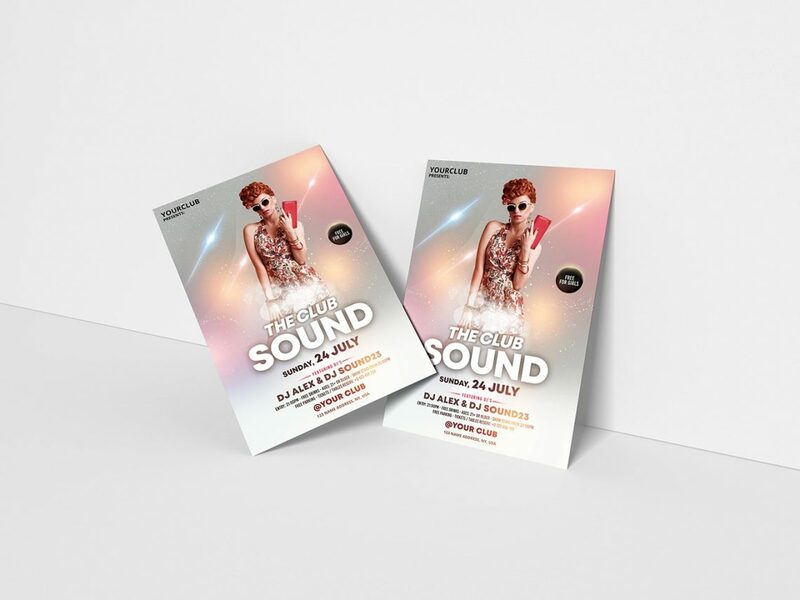 Download The Club Sound PSD Flyer Template for free. This is a perfect elegant luxury flyer template, easy to customize. If you will have any event for ladies night, girls party, birthday or any party night, use this creative flyer template to present your event in a better way. This PSD Flyer is suitable for any Girls Party, Elegant Night, Hip Hop, DJ, Sale, After Party, music party or other dj promotion. Image models is not included, its only for preview. In help file is link of stock to purchase.